WHY WE SHOULD SHUTUP MS! Multiple sclerosis (MS) is an unpredictable disorder that can cause a variety of symptoms, which for many, can flare-up and then subside over the course of days, months, or even years. While MS is not contagious, its causes are not yet fully understood and researchers continue to search for answers. MS is most frequently diagnosed in young adults, although individuals of any age may be diagnosed with this neurological condition. 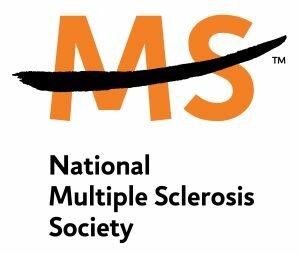 People who are not familiar with MS can easily be confused by its name and its unique symptoms. Particularly with today’s approved treatments and wellness strategies, most individuals with MS are able to live a full and productive life, with much hope for the future. Multiple sclerosis (MS) is a disease of the central nervous system (CNS). The CNS consists of the brain, optic nerves and spinal cord. With MS, areas of the CNS become inflamed, damaging the protective covering (known as “myelin“) that surrounds and insulates the nerves (known as “axons“). In addition to the myelin, over time, the axons and nerve cells (neurons) within the CNS may also become damaged. The damage to the protective covering and also to the nerves disrupts the smooth flow of nerve impulses. As a result, messages from the brain and spinal cord going to other parts of the body may be delayed and have trouble reaching their destination – causing the symptoms of MS.
Areas of inflammation and damage are known as “lesions.” The changes in size, number, and location of these lesions may determine the type and severity of symptoms. While individuals with relapsing forms of MS are believed to experience more inflammation than those with progressive forms of MS, lesions still occur for individuals with all forms of MS. However, the lesions in progressive forms of MS may be less active and expand more slowly. In addition to symptoms, disease activity may be evaluated from changes in the size or number of lesions. Frequently, MS may be “clinically silent,” showing no increase in symptoms, yet continuing to show signs of disease activity within the CNS. For individuals with relapsing forms of MS, early and continued treatment with a disease-modifying therapy (DMT) can often slow the “clinically silent” disease activity in the brain, reducing the size and number of active lesions. This is why most neurologists, as well as the American Academy of Neurology, recommend that individuals with relapsing forms of MS begin treatment as soon as possible after the diagnosis is established. Lesions and plaques are viewed on a magnetic resonance imaging (MRI) scanner. This technology is used to help diagnose MS and evaluate its progress at various intervals. Information courtesy of the website MyMssa.org.